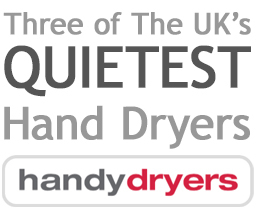 Handy Dryers are delighted to announce the results of independent noise testing by the world renowned Noise Abatement Society. 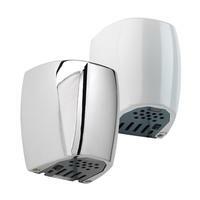 Independent tests were carried out on an extensive range of hand dryers from suppliers all over the world to produce a shortlist of the best in class products. 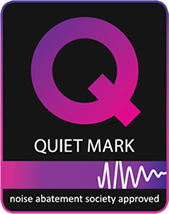 For a full list of our Quiet Mark certified hand dryers click here. Amongst the quietest in the class of “hands-in” hand dryers is the Gorillo Ultra which is a state of the art machine incorporating waste water collection, HEPA filter and UV filter sterilisation. 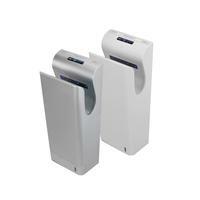 The Gorillo Ultra has most recently been chosen as the preferred hand dryer for the NEC in Birmingham where it has now been installed through every washroom in the whole facility. 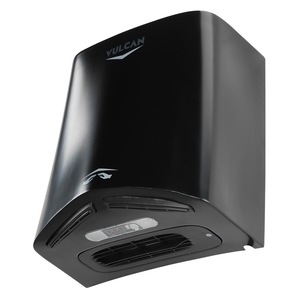 Although not available to test at the time we have a superb addition to our high usage, ultra low noise range – the Vulcan is a modern 'V' shaped air blade designed dryer that is built to last. 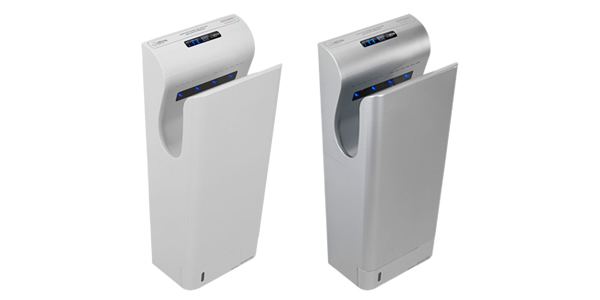 The hand dryer comes with all the latest features you would expect in a state-of-the art hand dryer that is made for high volume environments. 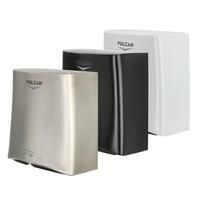 In independent tests the Vulcan Hand Dryer was found to operate at 74.5 dBA so we are proud to include it in our quiet hand dryer range. 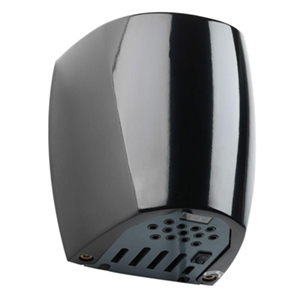 The small and stylish Dillo Hand Dryer comes in three different colours and with a sleek design while also providing speedy and effective hand drying consistently. The dryer comes in a choice of the highest quality polished solid chrome, white enamel powder coating or black powder coated cast aluminium casing, as well as having the unique option of inserting a scented perfume ring that ensure the combination of striking looks, robust durability and pleasant fragrances in the washroom at all times.